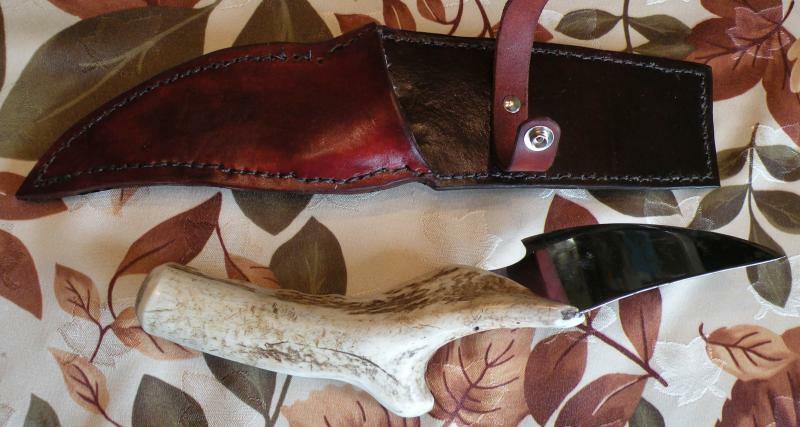 Whether a hunter or an enthusiast, we can make accessories for your guns, knives or hunting needs. 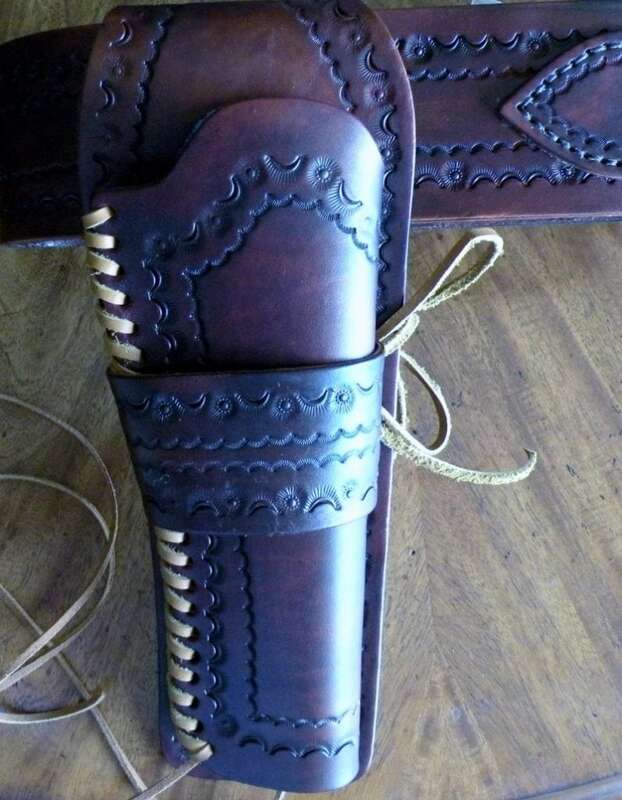 Possibilities include rifle slings, holsters of various types, scabbards or cases, or knife sheathes. Just let us know what you want! 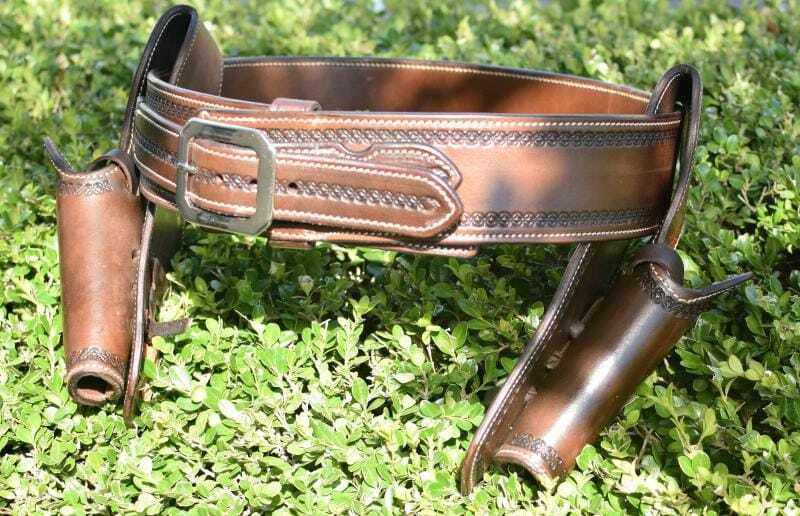 Gunbelt with dual hosters for the classic 1857 Colt Revolver (and clones). item with customized tooling and colors. Other styles and designs can be done at your request. 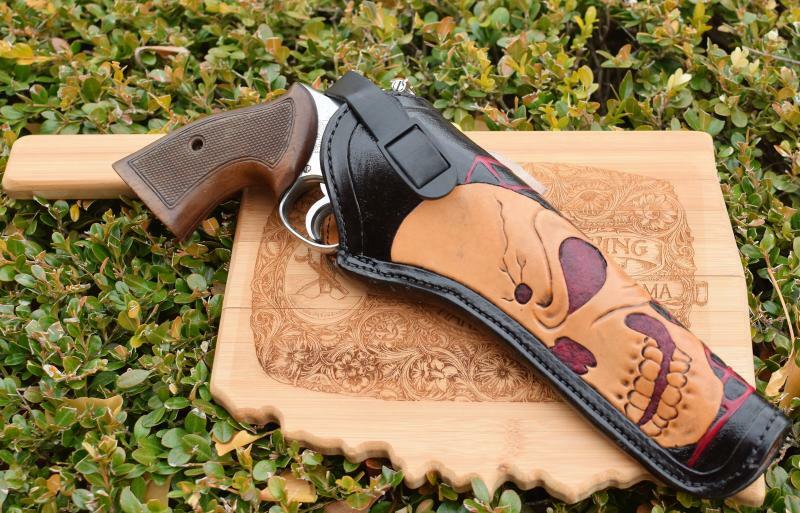 I can makHolster for Long Barrelled Semi-Automatice a variety of different styles of holsters. The picture shown here is for a semi-automatic, 4.5-5 inch barrel. I have similiar generic patterns that can be personalized for shorter barrel semi-automatics and different sized revolvers. 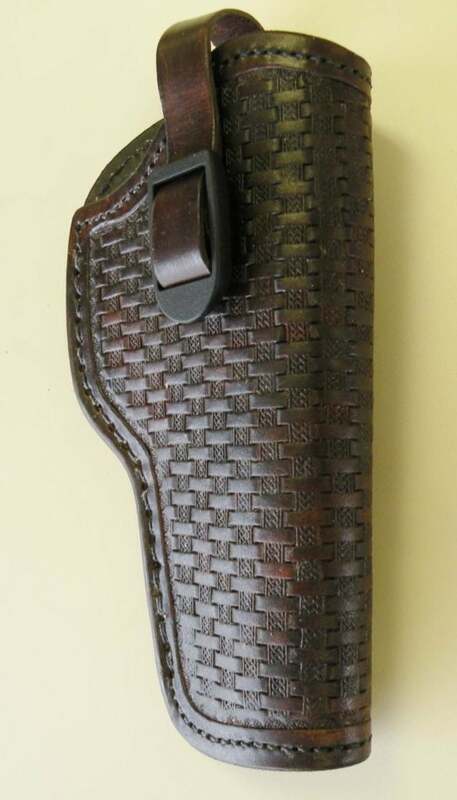 I also have a variety of patterns for Colt 1911 holsters. Need a case to protect a pistol? 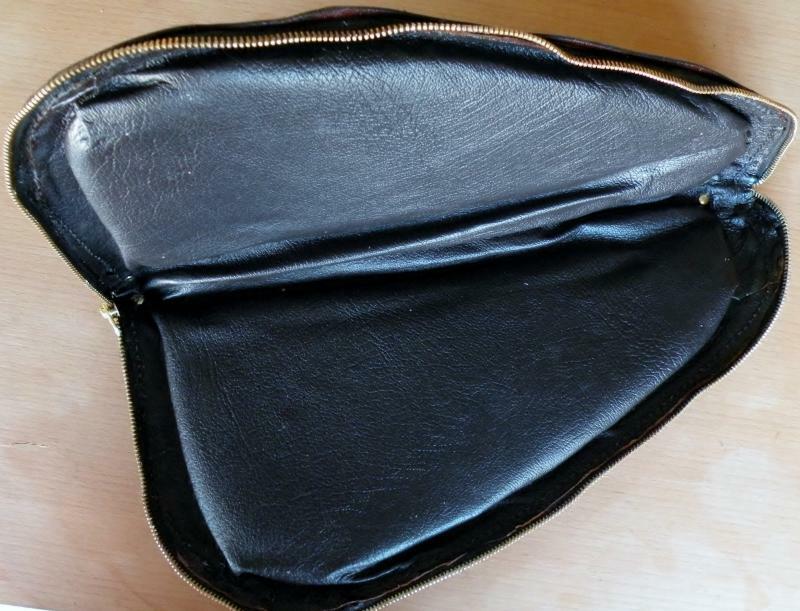 Consider a soft-sided leather case with interior padding. As always design and pattern choice are up to you! 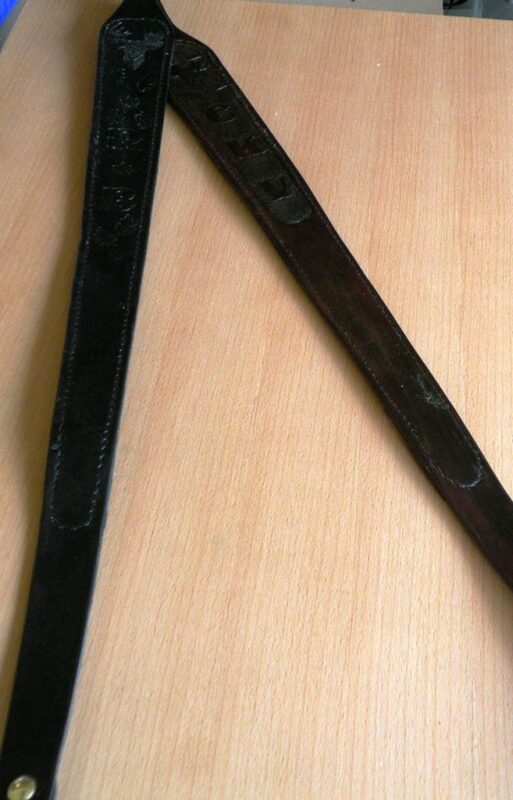 Go back to the Old West with this or similiar Holsters and Gunbelts. This is a custom sling in terms of size and design…just to show that all kinds of things are possible! Back is covered in suede leather with artificial wooling lining. 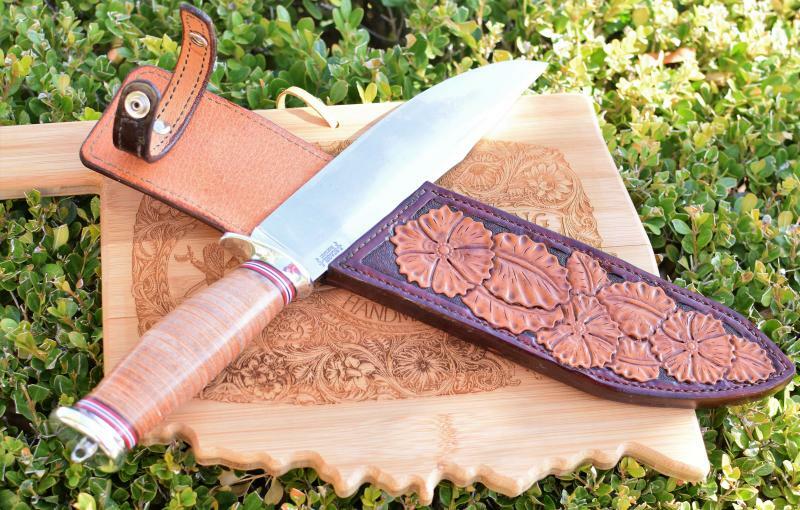 Heavily tooled sheath for a classy Bowie knife. 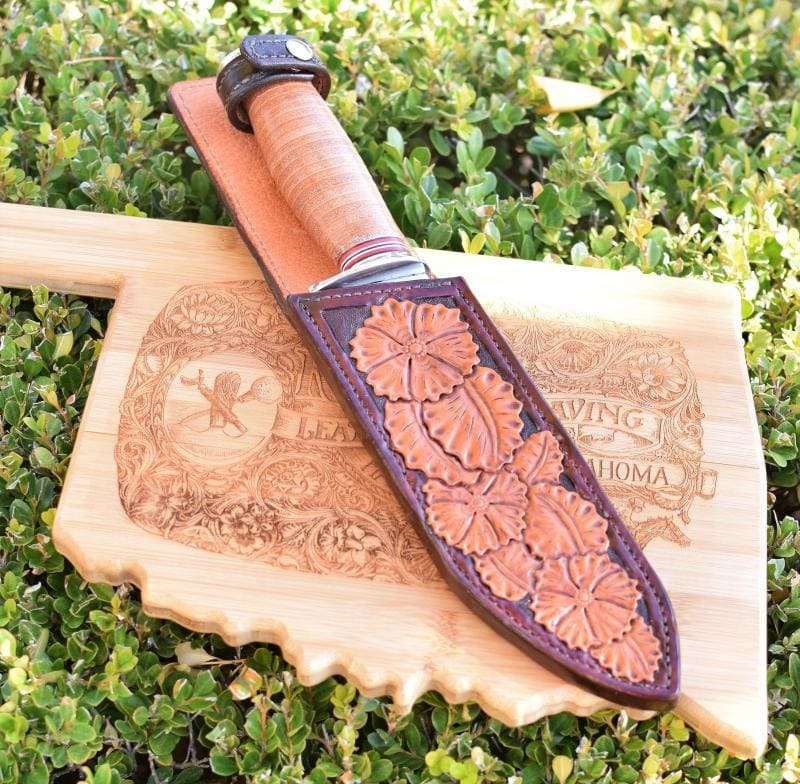 Have a special knife that needs a special home? 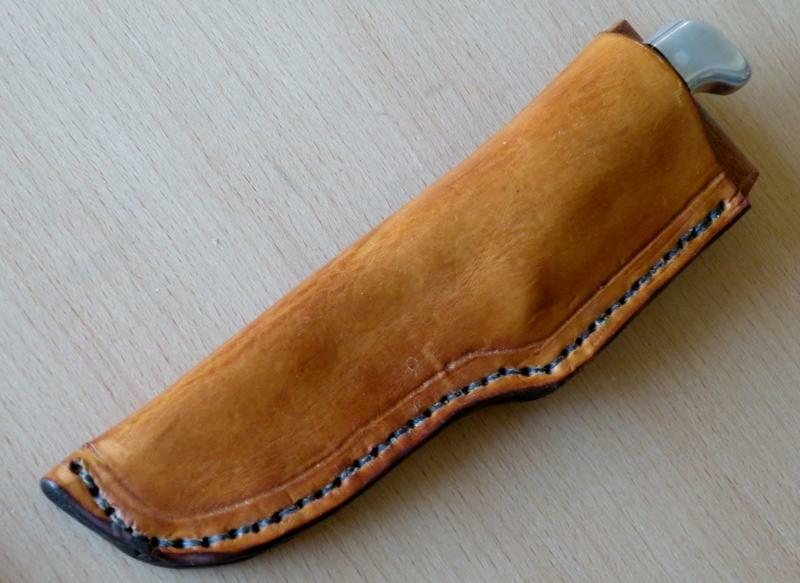 Get a custom sheath made for it. Can be open topped as in the pictures above or closed with a flap. As always, tooled and colored as you want it. You get a special knife made that shall we say is not typical. Any sort of standard sheath just won’t work. 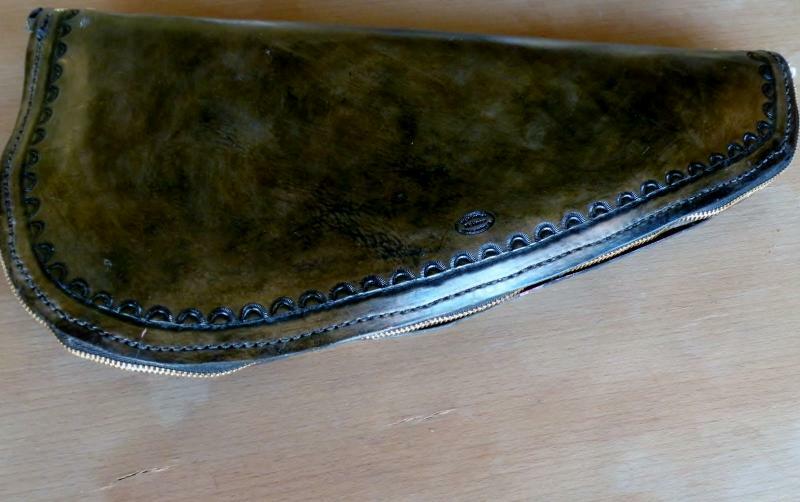 That’s when it’s time to contact us and let us make a custom sheath. To do it right though, we will need the knife. Here’s one example! Possibilities are endless, but among them are hunting belts, bags, holsters, quivers, etc.